Do you think that you don’t have time to learn a new skill? Here’s how you can do it. 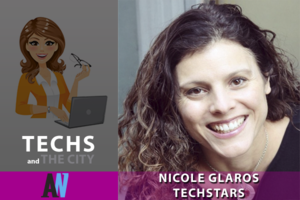 Today we hear from Nicole Glaros, Managing Director of Techstars New York. No stranger to the startup world, Glaros got her entrepreneurial start in the 4th grade, orchestrating cousins into theatrical plays and charging neighbors admission. From there, she founded three startups, the first of which had a healthy exit and the others which failed miserably. She has spent over a decade working with and funding early-stage web software companies. She has been with Techstars since it’s early days as a humble program in Boulder, Colorado, and has helped expand the brand and operations. In addition to running the Colorado office, she’s also been part of the launch in Texas, and heads operations in NYC.